The writings of Immanuel Kant became the cornerstone of all subsequent philosophical inquiry. They articulate the relationship between the human mind and all that it encounters and remain the most important influence on our concept of knowledge. As renowned Kant scholar Allen W. Wood writes in his Introduction, Kant "virtually laid the foundation for the way people in the last two centuries have confronted such widely differing subjects as the experience of beauty and the meaning of human history." 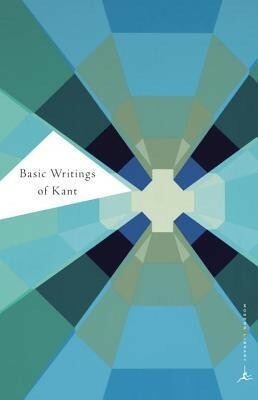 Edited and compiled by Dr. Wood, Basic Writings of Kant stands as a comprehensive summary of Kants contributions to modern thought, and gathers together the most respected translations of Kants key moral and political writings. Allen W. Wood is a professor of philosophy at Stanford University. He is the author of Kants Rational Theology and Kants Ethical Thought and, with Paul Guyer, general editor of the Cambridge Edition of the Works of Kant. I'm the author/artist and I want to review Basic Writings of Kant.